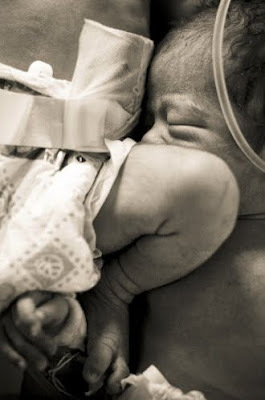 Being a new mom myself, and having given birth just 7 weeks ago, I can understand how difficult the circumstances in the hospital are, not just for the patients, but the medical staff as well, for having to do so much with so little. 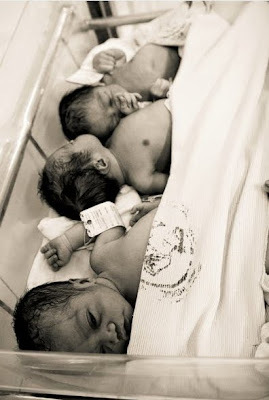 Personally, I cannot take the idea of having Berry share a bassinet with two even three other newborns. Plus the thought of myself, still in pain from childbirth, being in a ward with dozens of other women is in itself hard to bear. 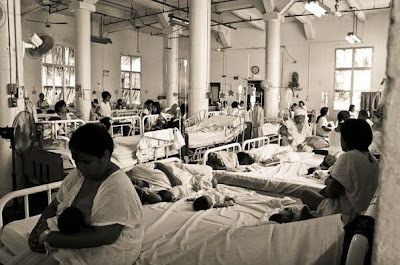 But sadly, it is a reality for Fabella's patients. Ingrid and Cecile, who are doing a wonderful and selfless deed of raising funds for Fabella Hospital, need our support! 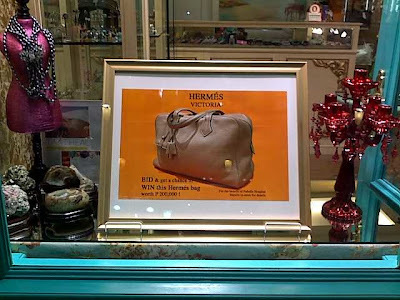 I hope you can help out in whatever way you can by donating funds by clicking on the Paypal button in Cecile's blog until Monday, August 17, or participating in an auction for Ingrid's Hermes Victoria bag. Those in Manila can bid for the bag by visiting Accessory Lab in Rockwell. Bidding ends this Sunday, August 16, at 9 PM. So please put in a bid while it is still open. The highest bid currently is at Php 50,000. That is just about $1,000 so I hope the bid goes up more! 6. Type this statement on your email bid to validate the bid. "By submitting this bid, I am responsible for completing full payment of my bid above should I win." Your email will be validated and replied to, to ensure that your bid is entered into the auction. 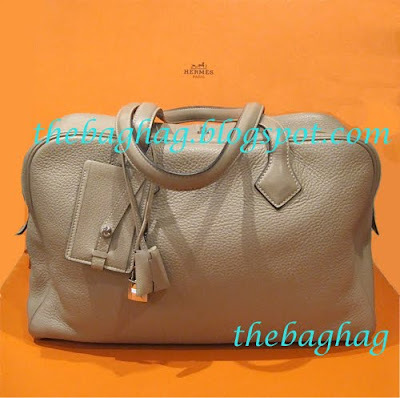 Should an overseas bidder win the bag, Ingrid will ship the bag to you, free! That being said, while cash is good, some of you might prefer to donate in kind! Apart from donating, I am thinking of sending baby blankets (Cecile is accepting donations of receiving blankets at Pepper Lunch branches!). Berry has dozens and we are sharing with the babies in Fabella! If any of you US based moms have extras on hand, I can consolidate here and I will take care of shipping the blankets to Manila. Please email me at manilafashionobserver@gmail.com so we can coordinate! yay! thanks for the blanket drive. i love ! !